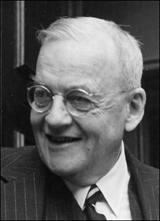 John Foster Dulles, the son of a Presbyterian minister, was born in Washington on 25th February, 1888. His brother was Allen Dulles and his grandfather was John Watson Foster, Secretary of State under President Benjamin Harrison. His uncle, Robert Lansing, was Secretary of State in the Cabinet of President Woodrow Wilson. After attending Princeton University and George Washington University he joined the New York law firm of Sullivan and Cromwell, where he specialized in international law. He tried to join the United States Army during the First World War but was rejected because of poor eyesight. In 1918 Woodrow Wilson appointed Dulles as legal counsel to the United States delegation to the Versailles Peace Conference. Afterwards he served as a member of the War Reparations Committee. Dulles, a deeply religious man, attended numerous international conferences of churchmen during the 1920s and 1930s. He also became a partner in the Sullivan & Cromwell law firm. Dulles was a close associate of Thomas E. Dewey who became the presidential candidate of the Republican Party in 1944. During the election Dulles served as Dewey's foreign policy adviser. In 1945 Dulles participated in the San Francisco Conference and worked as adviser to Arthur H. Vandenberg and helped draft the preamble to the United Nations Charter. He subsequently attended the General Assembly of the United Nations as a United States delegate in 1946, 1947 and 1950. He also published War or Peace (1950). Dulles criticized the foreign policy of the Harry S. Truman. He argued that the policy of "containment" should be replaced by a policy of "liberation". When Dwight Eisenhower became president in January, 1953, he appointed Dulles as his Secretary of State. He spent considerable time building up NATO as part of his strategy of controlling Soviet expansion by threatening massive retaliation in event of a war. In an article written for Life Magazine Dulles defined his policy of brinkmanship: "The ability to get to the verge without getting into the war is the necessary art." His critics blamed him for damaging relations with communist states and contributing to the Cold War. Dulles was also the architect of the Southeast Asia Treaty Organization (SEATO) that was created in 1954. The treaty, signed by representatives of the United States, Australia, Britain, France, New Zealand , Pakistan, the Philippines and Thailand, provided for collective action against aggression. Dulles upset the leaders of several non-aligned countries when on 9th June, 1955, he argued in one speech that "neutrality has increasingly become an obsolete and except under very exceptional circumstances, it is an immoral and shortsighted conception." In 1956 Dulles strongly opposed the Anglo-French invasion of Egypt (October-November). However, by 1958 he was an outspoken opponent of President Gamal Abdel Nasser and stopped him from receiving weapons from the United States. This policy backfired and enabled the Soviet Union to gain influence in the Middle East. Dulles, suffering from cancer, was forced to resign from office in April, 1959. John Foster Dulles died in Washington on 24th May, 1959.